The gsn_csm_time_lat plot template expects the input data to be dimensioned (time,lat). 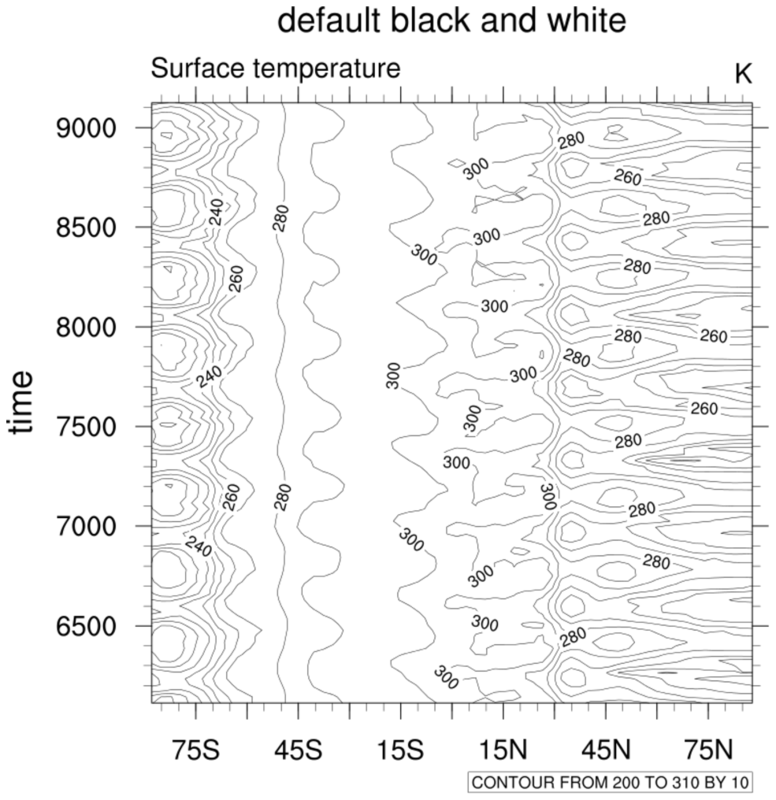 time_lat_1.ncl: Creates default black and white time vs. latitude plot. 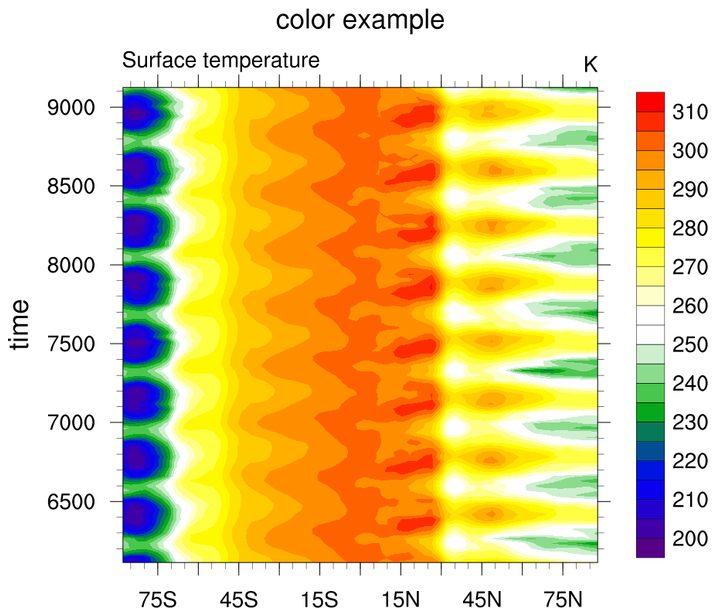 gsn_csm_time_lat is the plot interface that creates time vs. latitude plots. tmXBLabelStride enables the user to plot a subset of the tick mark labels.